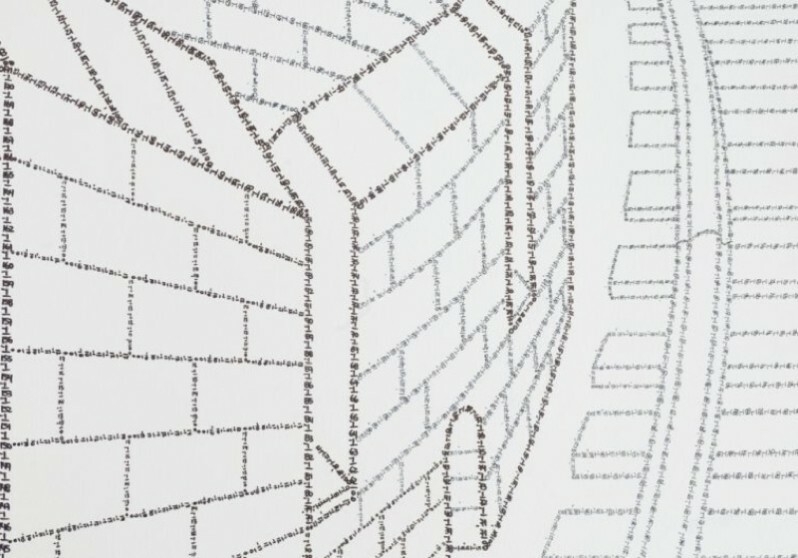 Dimensions (H x W): The drawing measures 4 x 9 m (13 x 29.5 feet). Weight: Each cookie weighs approximately 0.45 kg (1 lb). Upon visiting the city, Climachauska was struck by Vancouver’s famed cultural mosaic, and more specifically by the city’s large population of Chinese descent. 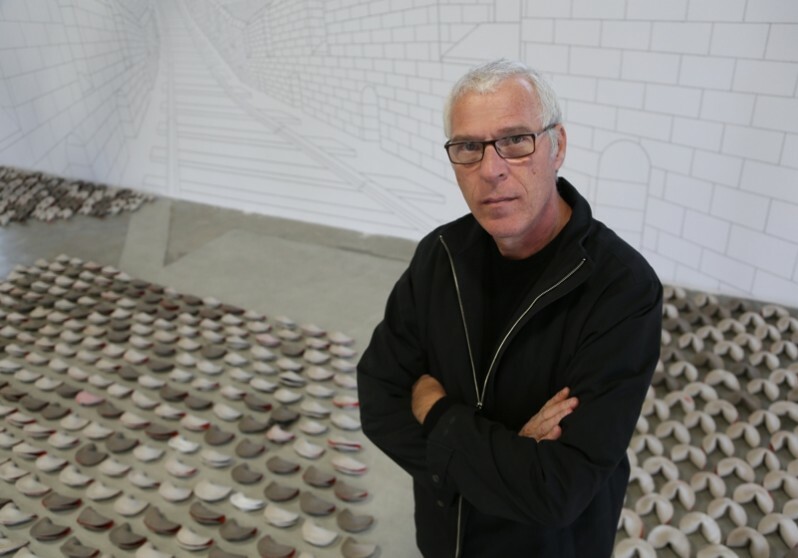 His work Red Fortune consists of hundreds of ceramic fortune cookies placed before a drawing of the Canadian Pacific Railway traversing the Great Wall of China. 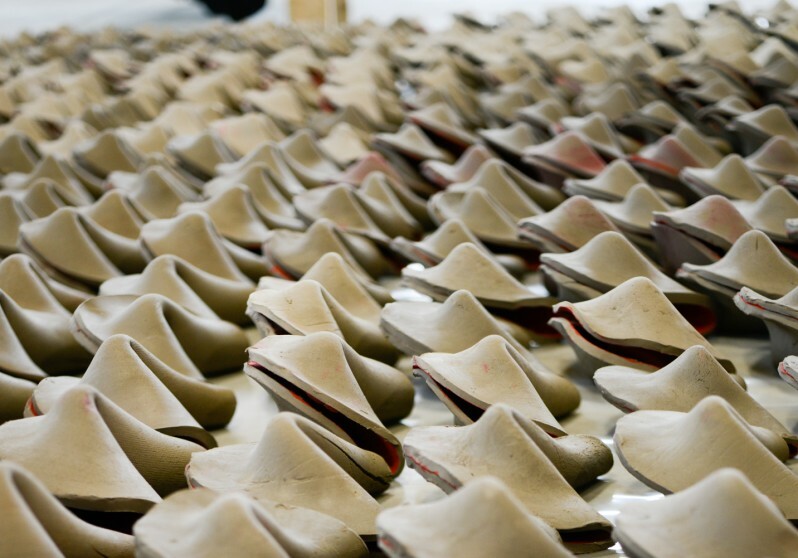 The interior of each ceramic is coated in a thick scarlet lacquer, referring to both Red China and the hue of our own flag. 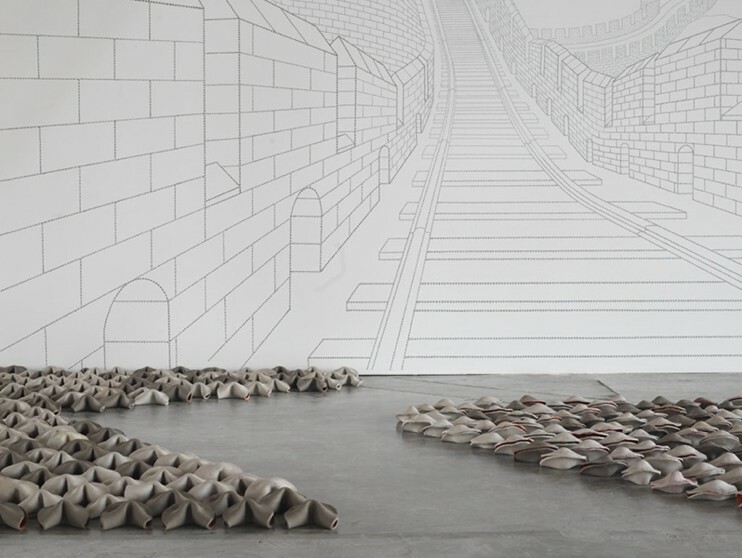 Within the theme Open Borders/Crossroads Vancouver, Red Fortune deals with the opening of territories and the flow of migration, with the tracks evoking the Canadian Pacific Railway. Constructed by the country’s first wave of Chinese immigrants, the railway stands as a symbol of Canada’s nationhood, a conduit that opened the West to the eastern provinces. The question remains: do the ceramic fortune cookies represent new fortunes . . . or old? Fortune, money, fate, dreams . . .